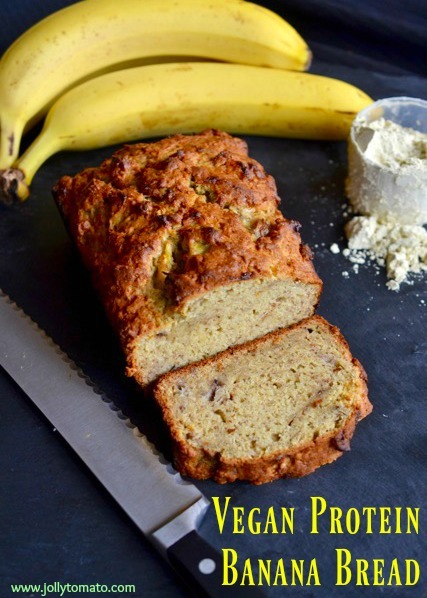 This vegan banana bread has a boost of clean veggie protein from Vega protein powder. If you’re curious about eating vegan – or if you can’t imagine how you’d do it – you might be pleasantly surprised. To become a vegan is to eat no animal products of any kind. So that means no meat, poultry, or fish; and also no dairy or egg products. That might seem like a lot to wrap your mind around if you’re new to veganism. But even if you know what it is, you might still wonder – How do you get your protein? The fact is, plenty of non-meat foods have plenty of protein. Think broccoli, nuts, lentils, quinoa, sprouted grains, tofu and other soy products… the list goes on. 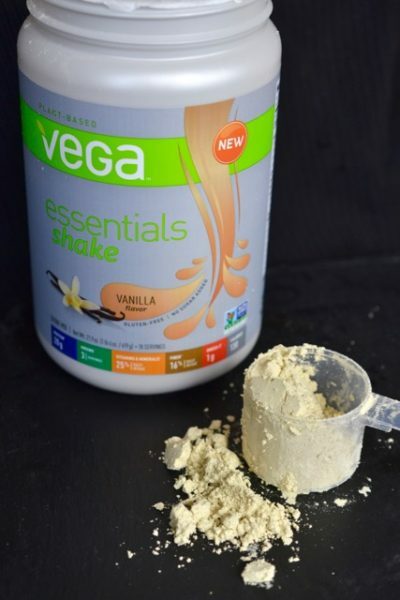 And if you’re the kind of person who likes protein shakes or protein powders, you can use a plant-based powder like Vega to give yourself an added boost of veggies, fiber, antioxidants, probiotics, and more. 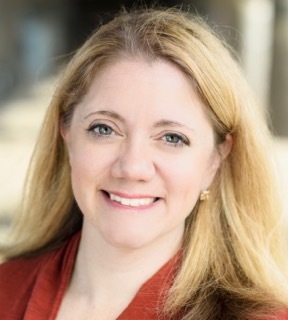 We had a chance to learn about Vega while at BlogHer from vegan chef Leslie Durso. Leslie taught us how to make some amazing vegan pancakes using Vega protein shake powder to give the pancakes a protein boost. General rule of thumb: If you want to bake with Vega protein powder, put in a scoop of Vega and remove the equivalent amount of flour. 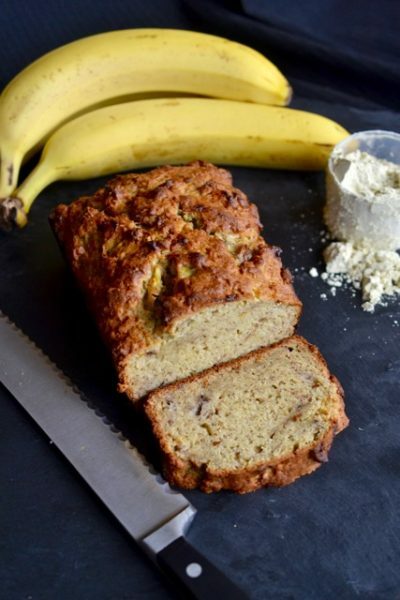 A moist banana bread that gets a boost of plant-based protein from vegan protein powder. In a small mixing bowl, combine the flour, protein powder, baking powder, baking soda, salt, cinnamon, and sugar. Stir until evenly mixed and any lumps of protein powder are smoothed away. In a larger bowl, mash the bananas. Add the coconut oil and vanilla and mix until evenly combined. Slowly add the flour mixture to the banana mixture, stirring until just evenly mixed (do not over-stir). Grease a small loaf pan. Pour the batter into the loaf pan. Bake for 50 minutes, or until a toothpick or knife comes out clean when inserted. Honestly, the taste was no different from a regular baked good… and we’ve added protein, greens, vitamins, fiber, and Omega 3s. What’s not to like? We’re keeping our Vega on hand next to our baking supplies just so we can keep boosting our baked goods. We’ll let you know if we find any other great combinations! 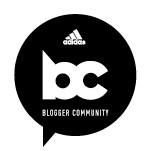 Blogger disclosure: Vega treated me to breakfast at BlogHer16 and gave me a complimentary container of vegan protein powder. I did not receive compensation for this post, and all opinions expressed are my own. Can I make this with vanilla whey protein powder? Hey, I’m trying your recipe. Could I replace the flour with same amount of oat flour and increase baking powder and baking soda? Great recipe. Made this with some modifications with what I had on-hand. I used whole wheat flour and substituted 1/3 c of it with quick cooking oats for some hearty texture and more nutrients. I used only 1/4 maple syrup instead of sugar and used Vega vanilla protein and greens powder as that’s what I use in my smoothies. 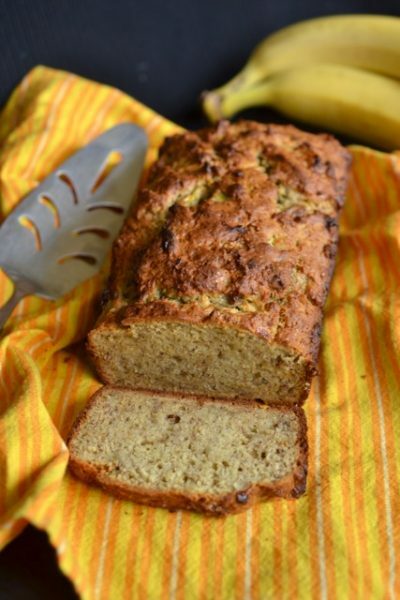 I squeezed the bananas with my hand and left chunky so there are moist banana pieces in the bread. Super delicious. What substitutes are there instead of coconut oil? Hi Chloe: I believe grapeseed oil and olive oil should be good equivalents, but I haven’t tried them in this recipe. If you do, please let me know! Thanks! Do you know the macros for this?